While the football team is continuing their dominance on the gridiron at the House of Pain that is Mitakihara Stadium, the men's and women's soccer teams have been nothing short of stellar. 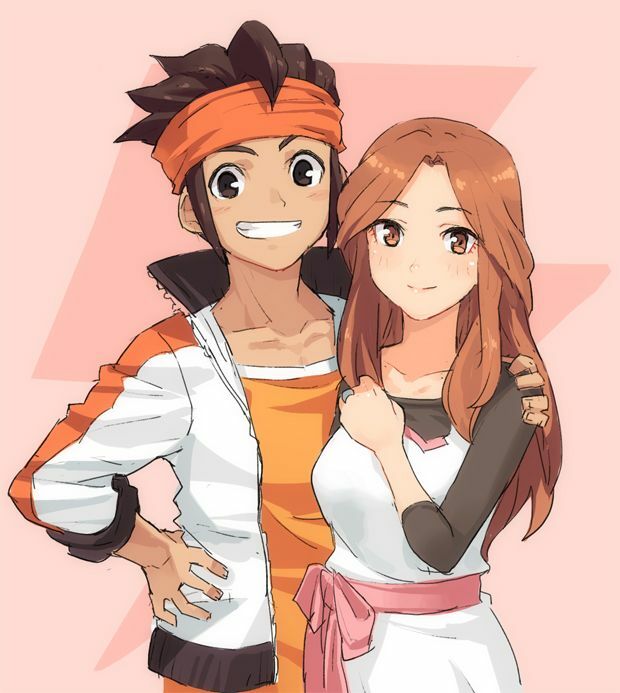 The masterminds behind the dominance of the Magi men and Puella Magi women is the husband-and-wife combo of Mark Evans and Nelly "Nell" Evans. Mark coaches the men, while Nell coaches the women. "We were hired by Sayaka Miki six years ago and we were sought after because of our managerial work coaching school teams in Japan," Mark said. "So, Sayaka asks us, do you want to take on a bigger challenge in coaching the men's and women's soccer teams here? "We thought about it, and then we decided to give it a shot. The rest is history." Mitakihara's men and women have won the last six NCAA Division I College Cups and are the current, defending champions. It's the women that have fared slightly better. Since the start of the 2018 season, the Puella Magi have yet to lose a single game. But it's not just Nell coaching the strikers on the women's side. The other assistants—midielders coach Celia Hills, defenders coach Carmelia "Carm" Travis-Green, and goalkeepers coach Silvia Woods—have been pulling their weight. "Our goal is to encourage our ladies to improve as players in their position and be transformative leaders on and off the field," Nell said after practice at Hirasawa Field. "Everyone on this team plays for each other. Everyone on this team fights for each other. Everyone on this team sacrifices their own personal time to commit to extending our dominance over the American schools. "This mantra has been paying off in dividends ever since Mark and I came to Madoka to coach the soccer programs here." "I always like to schedule top 25 opponents for our nonconference slate," Mark said. "I believe that in order to be the best, you have the beat the best. We take on opponents that we expect to see in the postseason. Nelly, on the other hand, goes for a balance of ranked opposition and mid-major opponents so that her ladies are accustomed to different formations and different styles of play, so that they know what to expect and what styles to use as a counter. "It's helped both teams quite a lot, as you can see with the number of plaques in our office here at the Hakurei Centre." "We have been very dominant, and the secret to that is we schedule preseason friendlies with teams from across Canada and the Pacific Northwest," Nell said. "I schedule annual preseason friendlies with the Whitecaps, the Ottawa Fury, Quebec City Amiral, and the Seattle Sounders. Mark schedules the Caps, the Sounders, Toronto FC, FC Edmonton and the Montreal Impact. "This way, our teams can see the possibilities before them as players for Mitakihara." One thing that Mark hopes will change is the rules used by the NCAA. "The thing I don't like about the NCAA is that they don't use the FIFA rules and they use their own rules," Mark said. "There is free substitution, a countdown clock, no stoppage time, and a mandatory overtime period that can end on a golden goal. It's not how teams around the world operate. "When the NCAA stops deviating from the purity of the game and used the rules set by FIFA, we can see college soccer really becoming a springboard for talent at the next level." Until then, the Evanses work with what they have and press on. "I truly believe," Nell said, looking onward to the girls taking a breather, "that we are creating something that soccer fans in all of Canada can forever be happy about." The coaching staff of the Mitakihara Puella Magi women's soccer team. Left to right: goalkeepers coach Silvia "Silvy" Woods, head coach/forwards coach Nelly "Nell" Evans, midfielders coach Celia "Seal" Hills, defenders coach Carmelia "Carms" Travis-Green.